This project was a complete master bath remodel and configuration. Its features include a new European style shower with a convenient drying area including a forced heated air drying, twice as much storage with a larger vanity that compliments a separate seated vanity, radiant heat flooring, and multiple new plumbing fixtures to meet the client's needs. 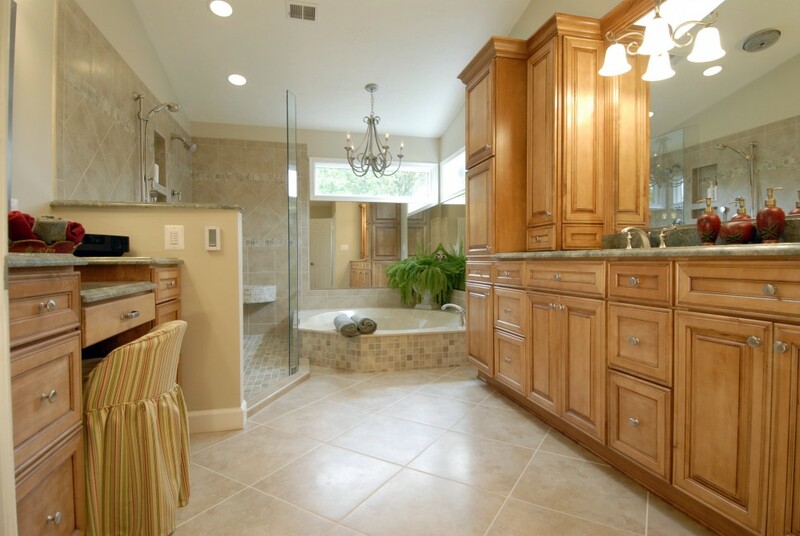 The clients now refer to their new master bath as their "dream bathroom." The clients bathroom which once lacked storage is now more efficient with storage for just about everything one would need in a bathroom.